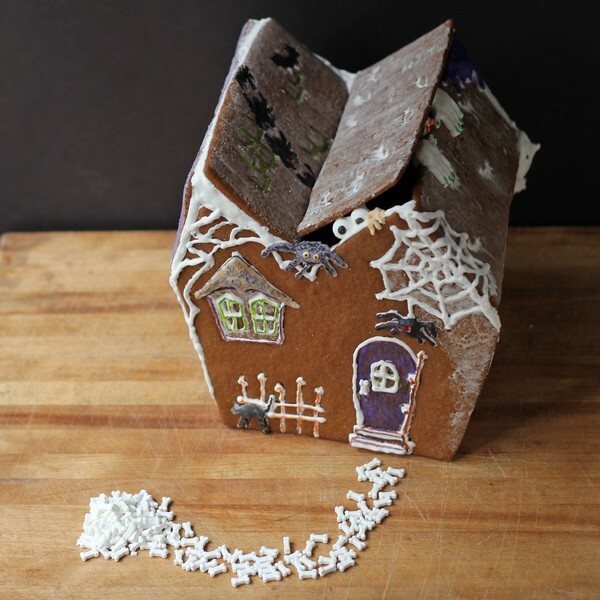 First, there was a haunted gingerbread house. And then it spiraled completely out of control. As if I was possessed. Cupcakes with chocolate and mayonnaise and vanilla cupcakes. And more cupcakes, this time gingerbread. Followed by pumpkin orange banana cupcakes. Brown sugar frosting was on the agenda, too. And those are orange cupcakes. Spooky soup with two types of cauliflower. Chocolate bats were a lot of fun, with spooky orange eyes. 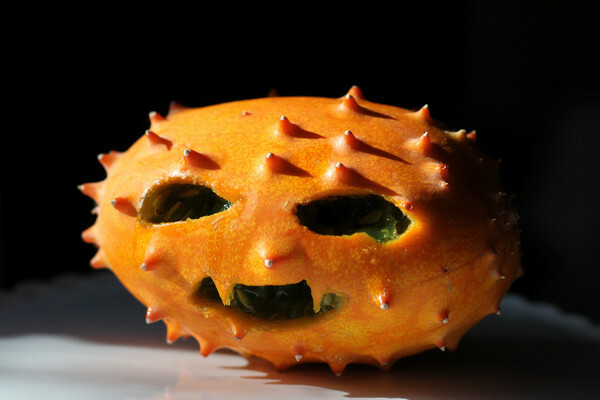 A spooky carved kiwano or two. And then there was the Buddha's Hand. It's a weird citrus fruit, but then I hollowed it out for serving a cocktail. And then I deconstructed it and used some of the fingers as a cocktail garnish. The Buddha's hand works with any cocktail where you might add citrus or use a citrus garnish. In this case, it's apple cider infused with some mulling spices - the type you'd use for wine. The cider is great cold or warm or hot. And if you want to add a little whisky or vodka or rum ... well, I wouldn't stop you. I'm working on a few cocktail recipes now. I'm sure you'll be seeing them very soon. 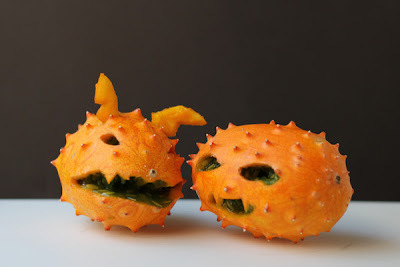 And last, these little guys aren't technically Halloween items, but they were a lot of fun. Are they cute? I had a lot of fun decorating them. More on them later. So ... what are YOU doing for Halloween? Not great photo - but really good mac and cheese! Let's face it, mac and cheese is a classic. And, let's face it, mac and cheese can go horribly wrong. Like when the cheese curdles. Yes, it has happened to me. So when I found a recipe for Slow-Baked Mac and Cheese in Beth Hensperger's book Not Your Mother's Slow Cooker Recipes for Two, I had to give it a try. I actually made a recipe for mac and cheese in a slow cooker (or Crock Pot or crockpot, or whatever you call it) quite some time ago, at the request of a friend. But that version was designed to feed a small army and the person said, "Spare no expense!" so I developed the recipe with that in mind. It was a really good mac and cheese, but I generally don't have to feed an army. So I thought I'd give this one a try. This recipe calls for fontina cheese, but when I checked the cheese collection, I didn't find any fontina. And there were some hunks of cheese that had lost their identities when I had re-wrapped them. Oops. I considered running out to buy fontina, but I changed my mind and decided to use what I had. Bits and pieces and odds and ends. I knew they were all similar to fontina in texture. So, I expected the end result to be okay, even if the flavor - and color - were different. Because, to be perfectly honest, I tend to prefer a yellow mac and cheese. So some colby went into the pot. This is a great recipe for a busy day because after it's assembled and the first 1/2 hour of cooking is done, you can curl up on the couch for a nice nap before dinner. Er, I mean get a whole lot of stuff done. The recipes in this book are designed for smaller slow cookers and small families, but I made this in a 6-quart Hamilton Beach slow cooker without any problems at all. Spray the inside bottom and sides of the slow cooker with cooking spray (not the baking spray with flour) or grease it with a bit of olive oil or vegetable oil. Okay, I digress. I just typed, "Spray the bottom and sides ..." and then went back and inserted the word "inside." Do I really think I need to say that? Are there people who would spray the outside of the slow cooker? I really don't know. Combine the milk, evaporated, milk, eggs, butter, and salt in the slow cooker and whisk to combine. Add the elbows and cheese and stir to combine. Sprinkle the parmesan cheese on top. Set the slow cooker for high and let it cook for 30 minutes. Reduce the temperature to low and cook for 2 to 2 1/2 hours, until the pasta is set and the cheesy custard is set in the center. If you're not ready to serve, this can rest at the "keep warm" setting for another half hour or so. *Make absolutely sure you're getting evaporated milk and NOT condensed milk. 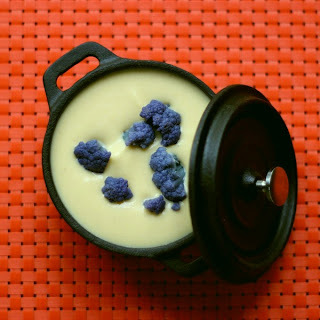 You're making mac and cheese, not flan. Teresa from Foodhunter's Guide will be treating you to some Split Pea Soup. I have bats in my buttercream! Chocolate bat recipe here. Yes, I've been on a cupcake binge. This time around, it wasn't about the cupcakes. Or the decorating. This time it was because I just got some really cute mini cake molds, and I needed to do something else with all the rest of the batter. I only had two of the little molds. and I didn't want to bake a whole lot of batches, so I used the rest of the batter for cupcakes. It was the logical thing to do. This time, I chose a recipe from Mastering the Art of Southern Cooking by Nathalie Dupree and Cynthia Graubart. It's a hefty book, stuffed with southern recipes. Some of those recipes were familiar to me, but some were new. Which is great. I always love seeing new recipes, particularly if they're regional specialties. But this time I was after a cake that I could turn into cupcakes. I settled on a recipe for orange cake that sounded pretty good. The cake ingredients weren't surprising, but the mixing instructions were a little different. I cut the recipe in half to make a dozen cupcakes, plus my two Cake Creatures. Luckily, all the ingredients were easy to divide. In the bowl of your stand mixer fitted with the paddle attachment, beat the butter until it is fluffy. dd the sugar a little at a time, beating well after each addition. Beat until it's fluffy. Add 1/3 of the flour along with 1/2 of the orange juice to the stand mixer. Beat to incorporate it. Add another 1/3 of the flour and half of the orange juice. Beat again. Add the remaining flour and beat until all the ingredients are well blended and the batter is smooth. Divide the batter into the cupcake papers. At lower altitude, it should be fine to divide into 12 cupcakes. Up here, 14 cupcakes was a much better idea. Bake at 350 degrees until the cupcakes are lightly browned, they bounce back when touched lightly in the center, and a toothpick inserted in the center of a cupcake comes out clean. The recipe for the brown sugar buttercream (and how to make your own powdered brown sugar) is right here. 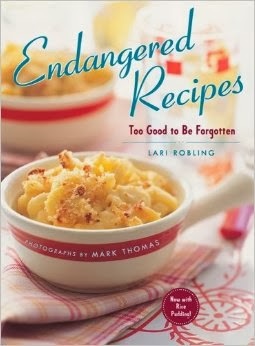 You might have noticed that I've been doing a lot of recipes lately that are adapted from cookbooks. I have a stacks of cookbooks here that need to be put away. Before I do that, though, I want to make a recipe or two or three from each of them. Some of those books came from publishers, some came from other people. Some I bought new and some are from garage sales. But I need to whittle down the giant pile of books before I acquire any more. It just has to be done. Meanwhile, I need some blog posts. And I'm short of time. 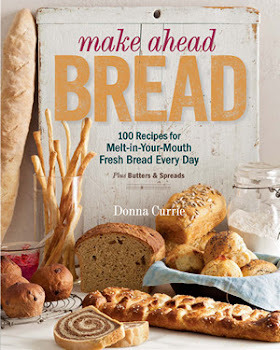 I've got deadlines rapidly approaching for the cookbook, and I'm knee-deep in dough. The bread kind, not the money kind. Bread dough for the bread book. It's taking my time and a lot of my brain power. So ... it's easier and somewhat more reliable to adapt a cookbook recipe than it is to start from scratch and create a recipe. When I create a recipe, it's not always blogworthy. It might take a few tries to get the recipe right and the photos right. And even then I might not think it's good enough to post. But when I make a recipe from a cookbook, it should work. So there's a better chance it will be blogworthy. 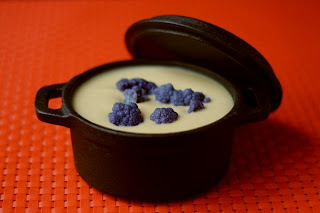 This time around, I wanted to make a cauliflower soup. 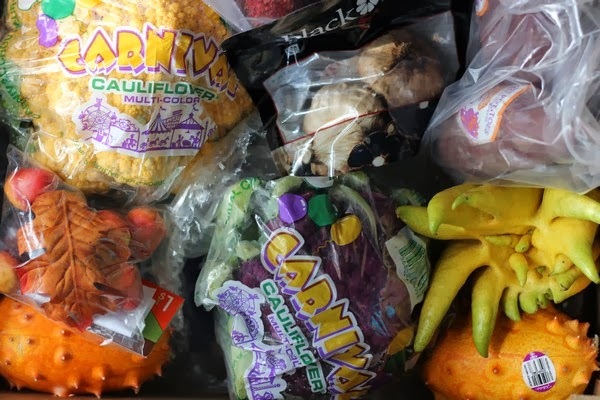 I just got some pretty purple cauliflower and some pretty gold cauliflower from Frieda's Specialty Produce, along with some other really fun (and spooky) food. I thought it would be fun to make soup from one color of cauliflower and then cook the other cauliflower and use it as garnish as the soup. So ... I know how to make cauliflower soup. I didn't really need a recipe, but I looked through several books, anyway. No luck. I guess it's not that popular. As a matter of fact, none of the books I looked at included cauliflower in the index at all. 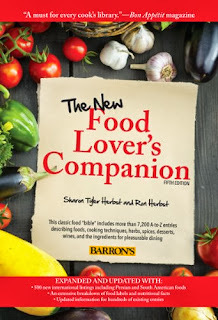 The only place I found it was in The New Food Lover's Companion, a book that's a resource about food rather than a cookbook. So, what does it say about cauliflower? In Mark Twain's words, "cauliflower is nothing but cabbage with a college education." The name of this elegant member of the cabbage family comes from the latin caulies ("stalk") and floris ("flower"). Cauliflower comes in three basic colors: white (the most popular and readily available), green and purple (a vibrant violet that turns pale green when cooked). All cauliflower is composed of bunches of tiny florets on clusters of stalks. Some white varieties have a purple or greenish tinge. The entire flower portion (called the "curd") is edible. The green leaves at the base are also edible, but take longer to cook and have a stronger flavor than the curd. Choose a firm cauliflower with compact florets; the leaves should be crisp and green with no sign of yellowing. The size of the head doesn't affect the quality. Refrigerate raw cauliflower, tightly wrapped, for 3 to 5 days; cooked for 1 to 3 days. To use separate cauliflower heads into florets and wash. Cauliflower can be eaten raw or cooked in a number of way including boiling, baking, and sauteing. Whole cauliflower heads may also be cooked in one piece. Adding a tablespoon of lemon juice or one cup of milk to the cooking water will prevent discoloration. Cauliflower, which is a cruciferous vegetable, is high in vitamin C and is a fair source of iron. Well, then, that's a lot about cauliflower, but a drop in the bucket for the whole book - this thing is over 900 pages long. Lots and lots and lots of information about food. Interestingly, the section about cauliflower didn't include anything about the orange cauliflower. And, the purple cauliflower I had didn't fade to green. It did lose some of the bright color and ended up more of a blue-purple than the reddish purple it was before I cooked it. But that's fine. It's still a crazy color. And I'll bet there will be more crazy colors coming at us in the future - but I guess that's what it's like in the food world - breeders are coming up with new varieties all the time. It interesting to read about cauliflower, but it didn't get me any closer to my soupy dreams, so I went into the kitchen and had some fun. The great thing about making soup is that the flavors can be adjusted easily - as long as you don't add too much of something. Not like baking where you have to get it right before it goes into the oven because you can't taste and adjust a cake as it cooks. And then you have to wait until it's fully baked and then wait some more until it cools. I was really happy with this soup. 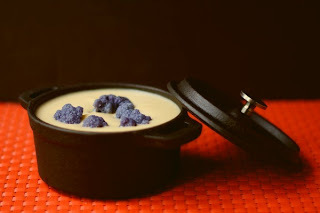 Next time, I might try using the purple for the soup and the gold for the accent. I went with golden soup mostly because that was the larger of the the two cauliflowers I received, and I figured that I wanted more soup than garnish. Remove the leaves from the cauliflower and cut in into chunks. Add to a large saucepan or small stockpot or other heavy bottomed pot. Peel the potato and add it to the pot. Fill the pot with water to just cover the vegetables. Add the Better than Bullion (if using), butter, salt, paprika, and cayenne pepper. Cook on medium heat - the water should be simmering but not boiling - until the vegetables are tender. Add water, as needed, during the cooking to keep the vegetables barely covered. Meanwhile, cut the purple cauliflower into florets and cook until tender - but not mushy - in boiling salted water. Drain and set aside. Add the milk (or half-and-half, or cream) and blend the soup with a hand blender until smooth. If the soup is too thick for your taste add more milk or water to thin it - we like thick soups, so I left it fairly thick. Add the lemon juice and white pepper and stir to combine - or blend again with the hand blender. Taste for seasoning and add more salt or other seasonings, as desired. Serve with the purple cauliflower florets as a garnish. I served it in black mini-Dutch ovens for a more Halloweenish look. If you want more garnishes, a little bit of grated cheese would be nice. If you think it needs some green - also a spooky color - some chopped parsley, chives, or scallions would be fine. 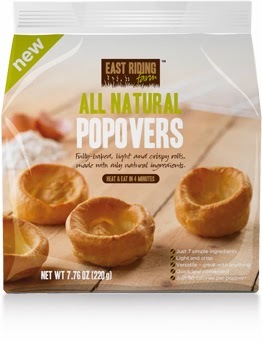 You probably realize that food bloggers get a lot of free products to try out And I'm always willing to sample new things and write about them if I like them or if I can fit them into a recipe. Sometimes I get things that don't quite make the cut. Not that they're bad products, but sometimes it's just something that doesn't fit my favorite flavor profile. First on that list is Melt Organic Spread. I use a lot of butter, but I was willing to give this a try. It's got healthy fats and it's a spreadable consistency. I thought it might be an interesting alternative for spreading on toast. Because toast happens a lot around here. Bet you couldn't guess that. 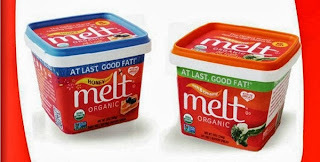 Unfortunately, one of the healthy fats in Melt is coconut oil. I don't like coconut. But, hey, there are products with coconut oil that don't taste like coconut, so I was willing to give it a try. And ... no go. I could taste the coconut. My husband couldn't taste the coconut, and he liked the flavor of the spread, so he'll be eating the rest of it. So, yeah, it's a fine product, just not in my shopping basket. Next on the "I almost loved it" list was YoCrunch yogurt with Trail Mix M&Ms. Sigh. Trail mix. Apparently there are raisins on the trail, and raisins are the second food that I've disliked since childhood. Right there with the coconut. The itty-bitty M&Ms were cute and the bits of peanut added a nice bit of crunch, but I picked out all of the raisins before I added the toppings to the yogurt, and that's just silly. There's no way you'd believe I was wild about this product if you've read this blog for a while and you know how I feel about raisins. So there was no sense writing a big long post about this product. If you like raisins, M&Ms and peanuts, you'll probably like this product. Again, it's just personal taste, but it's also a matter of honesty. I'm not going to tell you I love a product if I'm picking bits out of it before I eat it. 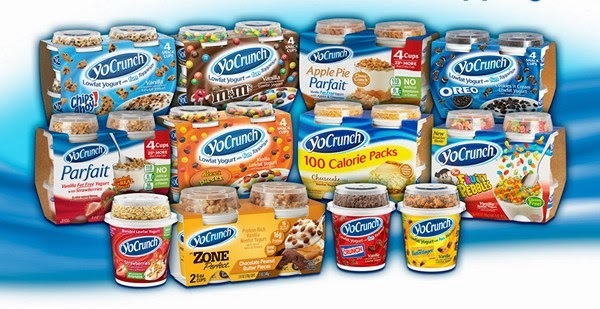 YoCrunch has a LOT of flavors, and I've tried a few others, and they were perfectly fine. Just not this time. I read about a sun-dried tomato ketchup and couldn't find it in any local stores, so I sent a sample request to the company. Not long after, I had two lovely bottles of the ketchup to try. And it was interesting. Thick, with a deep, rich, roasty flavor. It was good, but I couldn't really pass it off as table-ketchup after years of being conditioned to think of ketchup as a different sort of thing. This is a ketchup that would be good on a gourmet burger but maybe not on a basic backyard burger where you'd be looking for the familiar flavor. It would be a great start for a barbecue sauce. It would work well in a marinade or sauce or ... a whole lot of things. 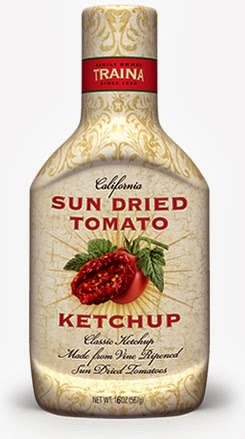 But, honestly, this isn't going to totally replace my mass-market familiar ketchup. It's just not. I am, however, thinking about a few recipes where it would be stunning, and would be so much better than using ketchup or tomato sauce or tomato paste. 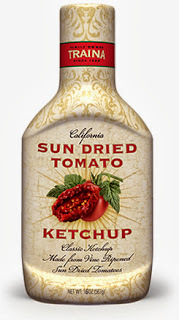 That sun-dried tomato flavor is really interesting, and it deserves a better platform than meatloaf. So there ya go. Three products that I didn't totally love, but maybe you will. Which one of these sounds interesting to you? When Safeway - one of the local grocery chains - and Marcella Valladolid challenged me to create a recipe, I figured, hey, why not? I was told that I'd be shipped some products to use, and to be honest I thought it would be salsa and spice mixes. But oh, no. This was serious. The Marcela Valladolid line of product at Safeway includes meat products. Yep, meat. Seasoned, vacuum-packed meat. AND it included one of my favorites - al pastor. That's one of the things I always buy when I go on my rare trips to the ethnic markets, so the idea that I can buy it at a local grocer any time I want it - well, that's pretty appealing. Cooking the al pastor (as well as the other meats I received) is pretty simple. 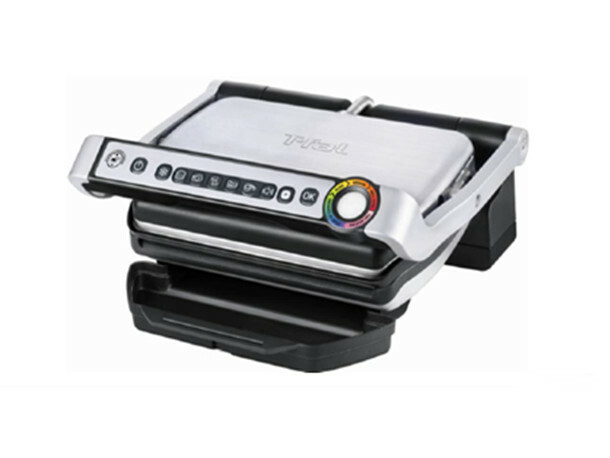 Heat a grill pan, grill, or cast iron pan. Cook on both sides until seared, then continue cooking until the meat is cooked through. Al pastor is pork, so you're not looking for rare here. Since the meat is thin, it cooks really quickly, so this is something you can make in no time. Then just heat up some tortillas and add whatever your favorite condiments are, and you're on your way. To be honest, tacos are one of my favorite ways to eat al pastor, but I decided to do something a little different for the contest. I mean a taco is a taco. Nachos are ... uh ... crisp. There are two approaches to making nachos. You can pile chips on a plate and make a big, hearty, dig-in sort of dish, or you can make each chip individually. Like little fancy appetizers. Well, I decided to go with the second option since I wanted them as an appetizer and not a meal-crusher. Put chips on a microwave-safe plate, spreading them out so each chip is an individual item. Put a sliver of cheese on each tortilla chip. Put the plate in the microwave and heat in 30-second increments until the cheese is melted. Top the hot cheese with the prepared meat, then add the avocado, sour cream, and red onions, as desired. Serve while the chips are still warm. *Lime pickled red onions are one of my favorite condiments, and they're simple to make. Cut a red onion in half or in quarters. Jam as much of that onion as you can into a pint jar. Add a three-fingered pinch of salt. Squeeze lime juice into the jar to cover the onions. Refrigerate at least overnight, but they're better in two or three days. I was sent a selection of Marcela Valladolid product from Safeway to enable my entry into their contest. I never liked eggnog until I tried some made by a local dairy. Then I fell in love. Good thing it's a seasonal beverage, or I'd be buying it way too often. I'd been wanting to try making my own eggnog for quite some time, but hadn't gotten around to it. I was also very curious about uncooked eggnog. But I held back from making it. I'm not terrified of raw eggs - I mean, there's always cake batter. But a batch of eggnog is a lot of eggs, compared to a taste of cake batter. When my friends at 37 Cooks sent some of Davidson's Safest Choice eggs, I knew right away that I was going to make eggnog. No doubt about it. Because those eggs are pasteurized. 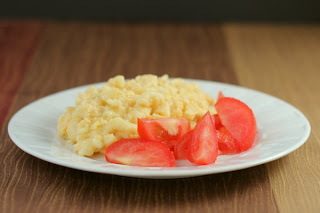 I've also used some of the Davidson's pasteurized eggs for recipes where I cooked them, and I've got to say that there's no weirdness that comes with the pasteurization. Raw, the whites looked just a little bit cloudy and maybe a tad thick, but other than that, I didn't see any difference. I used the eggnog recipe from Alton Brown's book Good Eats: The Middle Years. I saw him make the recipe on his show, and if I was going to trust anyone with a raw-egg eggnog, it was going to be AB. I changed up his flavors, though. Instead of bourbon, I used Crown Maple, and I left out the nutmeg. I like nutmeg in some things, but I'm just as happy to leave it out of some things. I thought the maple would be enough flavor without muddying it up with nutmeg. Since this version isn't cooked, it's not as thick as the eggnog I used to buy from the local dairy. Because it's beaten it actually seems light. If you can call something light that's got heavy cream in it. Speaking of light, I was sort of surprised how light-colored this was. Most of the eggnogs I've purchased have been more yellow. Not sure if they used more eggs, or if they used more colorful ingredients, or if they just used color. But this was a very pale creamy color. Definitely not yellow. 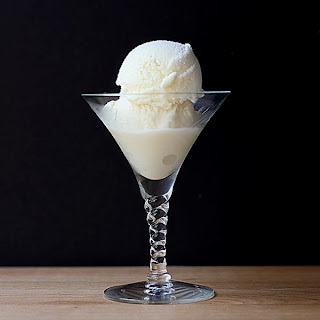 Just for the fun of it, I made eggnog ice cream from this recipe as well. I just put about 4 cups of it into the ice cream machine and let it churn. Pretty good. I might also try the cooked version of Alton Brown's eggnog closer to the holiday, but for now it's great to be able to use pasteurized eggs in the uncooked version. 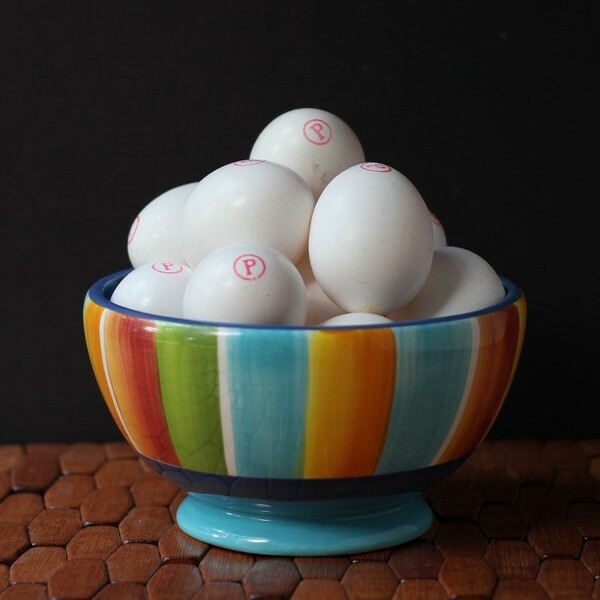 In a medium bowl, beat the egg YOLKS until they lighten in color and thicken. Add the 1/3 cup sugar slowly and keep beating until you have a smooth thick mixture. Add the milk and cream and whisky slowly, stirring it in. Whisk the egg whites into the yolk mixture. Chill well and serve. I received eggs from Davidson's Safest Choice Pasteurized Eggs through 37 Cooks. My good friends at Virtual Potluck have put together a potluck you're going to love - it's all about slow cookers. I love cooking in a slow cooker. I can let it run all day while I'm off running errands or otherwise occupied at home, or I can let it run all night - that's usually what I do when I cook a chicken or turkey - the spare parts never make it to the refrigerator, they go right into the slow cooker. 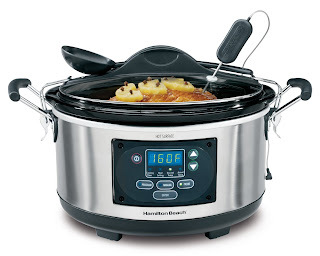 This time around, our party has two sponsors - Harvard Common Press who provided the cookbooks, and Hamilton Beach who provided the slow cookers. 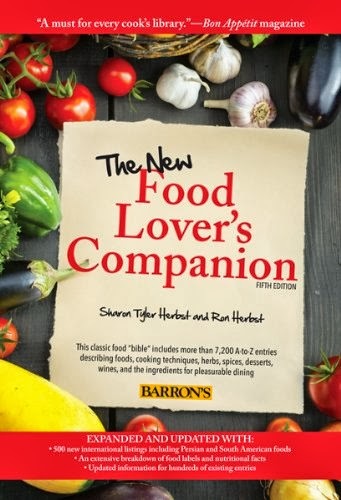 And that's really good for YOU because we have slow coolers and cookbooks to give away to our readers. Won't that be fun? The slow cookers we all received were the 6-quart programmable Set 'n Forget cookers with a temperature probe (so you can set the cooker to turn off based on temperature) and also clips that hold the lid onto the cooker for safer transport. But first - a recipe! Because you know that's what I'm all about. This one is from Not Your Mothers Slow Cooker Recipes for Two by Beth Hensperger. The recipes in this book are sized for two people and for smaller slow cookers, but I had no problem cooking this in a larger cooker. And of course, if you find a recipe you love, you can always double or even triple it. That's a heck of a lot easier than trying to halve a larger recipe. Put the leek, fennel, potatoes and parsley into the slow cooker. Add the water. If you're planning on adding the milk later, use 4 cups of water, otherwise use the full 6 cups. Cover and cook on high for 4-6 hours, until the potatoes are tender. Using an immersion blender, puree the soup. You can also puree the soup in batches in a blender - be careful if you do this - blend in small batches. Add the cayenne and the butter. Stir in the milk, if you're using it. This was a really good soup - if you're a little afraid of fennel, this is a great way to ease into the flavor, since it's very subtle here. And it was easy to make - just cook and blend and serve. Since you're blending, overcooking isn't an issue, so this could be set to cook for the full 6 hours and if it has to wait for you to come home, it would be perfectly fine waiting on the keep-warm setting. Then just blend and serve. Hey, how about a giveaway? 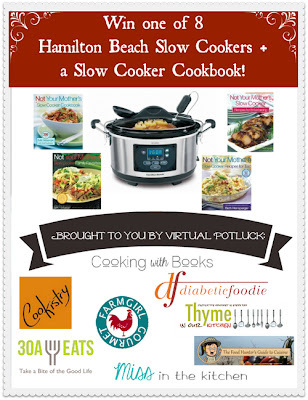 There are SEVEN other Virtual Potluck members participating in the slow cooker potluck and giveaway, and that means there will be a total of eight winners, each receiving a slow cooker and a slow cooker cookbook. And the really cool thing is that there are four different books up for grabs, so be sure to check out all the other Virtual Potluck members and see which books they used. The recipes will be going live all this week, so you've got plenty of time for browsing. There's a joke in my house that if my husband comes home and I'm not there, if the KitchenAid stand mixer is still on the kitchen counter, it means I'm coming back. It's a joke, but ... yeah, if I was running away with the circus, that stand mixer would be dressed up in a clown costume with me. And let me tell you a secret. I'm cheap frugal (sigh) cheap. When I need to buy something, I always shop around. I want the best thing for the best price. And then I shop some more. Can I buy it locally? How much is shipping? Are the coupons? Rebates? Color choices? Bargains??? But the KitchenAid stand mixer is probably the only countertop appliance that I would immediately buy a replacement for, without shopping around. I'd have the new one unboxed and ready to go before the old one gasped its last breath. Because I use it every single day. Sometimes for multiple projects. Yes, I have pretty much every attachment for it. So it gets a lot of use. And even more use, because of the book. So when I got an opportunity to do a little promotion for KitchenAid, I figured it would be a no-brainer. When I found out that it was for a sweet deal on KitchenAid appliances, it was even better. 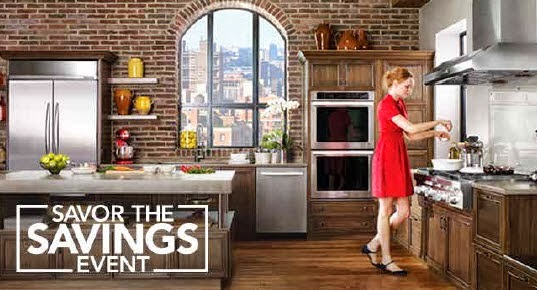 I mean, I love bargains, and with the KitchenAid #SavorTheSavings event, you can get a prepaid $1000 gift card when you buy selected appliances. You could buy a couple of stand mixers with that. Here's the blurb that was provided. It makes me want pumpkin ... so there's a recipe to follow. Because I know that's what you come here for. Okay, I didn't really have to post all that, but it was amusing, in a pumpkin-like way. And I wanted to drool over the idea of remaking my kitchen to look like that. Speaking of pumpkin ... one of my favorite flavor combinations is banana and pumpkin. This time I decided to up the ante by adding some orange as well. All those flavors remind me of fall and winter. Well, banana isn't really a seasonal fruit in today's world, but I buy more bananas in late fall and winter than other times of the year. When there's local fruit, I buy that and ignore bananas. But when there's nothing local, the bananas make their appearance in my shopping cart. Preheat the oven to 350 degrees and line two 12-cup cupcake pans with cupcake papers. Combine the flour and baking powder and whisk to combine. Set aside. In the bowl of your stand mixer fitted with the paddle attachment, beat the butter until light and fluffy. You'd normally start with room temperature butter, but if you're using a stand mixer you can start with cool butter and just beat the heck out of it until it's fluffy. Add the salt and sugar and continue beating until the mixture is light and fluffy. Add the egg and beat until incorporated. Add the banana and pumpkin and continue beating until combined. It might look a little curdled at this point - that's because of the water content in the banana and pumpkin. Don't worry about it. Add 1/3 of the flour mixture and beat well - give it a minute. Add 1/2 of the orange juice and beat until combined. Add another 1/3 of the flour, followed by the rest of the orange juice, beating until combined after each addition and scraping down the bowl, as needed. Add the final third of the flour and beat until combined. Fill the cupcake papers 2/3 to 3/4 full. You might not have enough for all 24 cupcakes - I baked 12 cupcakes plus a few other items, so I'm not sure exactly how many you'll get. I'd guess it's 16-18, total. Bake at 350 degrees until the cupcakes are lightly browned, they bounce back when lightly touched on the top, and a toothpick inserted in the center of a cupcake comes out clean. Remove from the pans and let them cool completely before frosting. The brown sugar frosting I used is right here. Note: These have only been tested at high altitude. At sea level, consider using 1 3/4 to 2 teaspoons of baking powder and/or add 1/4 to 1/2 teaspoon baking soda. If you try this, let me know how they work out. Presented by Mami Innovative Media, this is a sponsored post on behalf of Sears and KitchenAid. All opinions expressed here are my own.